Thank you for your interest in the Junior League of Greater Orlando (JLGO)! For over 70 years, we have trained women leaders to create lasting community change. Our mission is to promote volunteerism, develop the potential of women and improve our community through trained volunteers. Each year, the 600 members who comprise the JLGO explore the potential of what is possible in the year ahead. We spend each summer onboarding our newest leadership team, welcoming new members, and preparing for a year of community impact and member development. Our members serve the community through programs, advocacy, and training women to become leaders who in turn create more leaders. The JLGO programs currently focus on serving children through HIP Kids Events at the Rock Lake Community Center and youth in the juvenile justice system through MAGIC. Our League advocates at a state level by joining forces with other Junior Leagues and recent success includes the elimination of the “Tampon Tax”. We also support other local nonprofits, such as Harbor House, Orlando Health, and PACE Center for Girls, by providing volunteers to help with their efforts. As a result of League service, members learn more about community issues, gain confidence and civic leadership experience, and share experiences with friends along the way. Join our movement by attending our fundraisers, becoming a member, or working alongside us as a community partner. Together we are unstoppable! Megan Rose grew up in Mobile, Alabama and moved to Orlando in 2004. 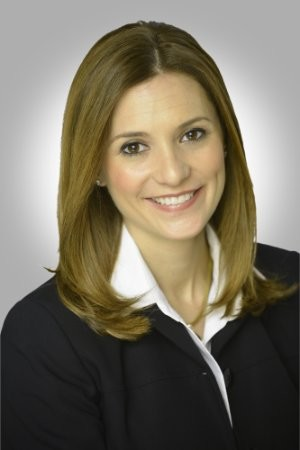 She joined the Junior League of Greater Orlando in 2009 and has held various Board positions within the organization including Vice President of Community, Vice President of Fundraising, Executive Vice President, and President-Elect. Megan is proud to be a part of an organization that provides women with the tools they need to become civic leaders in the community. She has also served as Treasurer for Leadership Florida. Megan has approximately 15 years of experience in the real estate and hospitality sector and currently leads a global team in Finance and Accounting for a leading hospitality company. Megan received her B.S. from Louisiana State University majoring in Biochemistry as well as her Masters of Business Administration. In her free time, she loves to read, travel to new destinations, and spoil Maximus, her Westie.